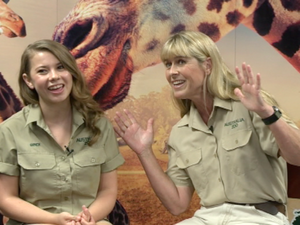 Passionate wildlife conservationists Bindi and Terri Irwin open their hearts and share their thoughts about life in contemporary Australia. Pets & Animals TERRI Irwin has questioned the sense in authorities using sharpshooters to kill a crocodile likely to attack small designer dogs. Celebrity SUNSHINE Coast wildlife warrior Bindi Irwin is caught up in a legal storm after her Dancing with the Stars contract just got rejected. News BINDI Irwin will never forget her late father's relationship advice.